Used hope pro4 get my vote for that dolla. Think it's finally time to treat myself to an actual new off the peg mtb that I can enjoy barely riding while I think up excuses. 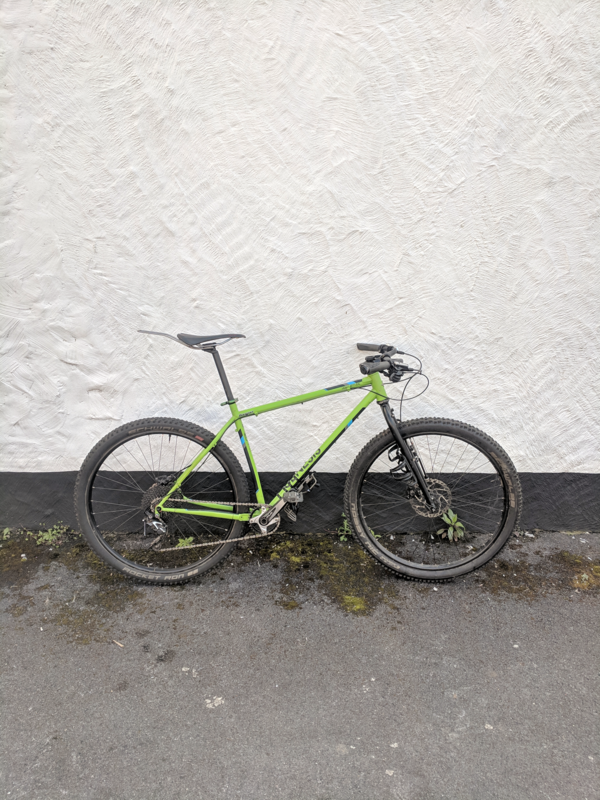 Approx 3k budget, 29er, 120-140mm travel... What do you buy? My preferred type of riding is xc racing, but I actually do very little of that in the grand scheme of things. It's mostly days out around Surrey, and I've a trip or two planned to the pyrenees between now and end of year. I'm leaning towards a carbon trail bike at the minute. whats a boost GXP crank with removable spider? Sorry for the stealth ad. Got my mtb up for sale in the classifieds. Willing to take offers and open to splitting if there is enough interest. More spam, got some Five Ten freeriders for sale, UK 9.5, would take £25. Would you hold on to then until I get back from holiday? Could grab them on the 1st from Clerkenwell if you're about in the afternoon. Yeah no problem, give me a shout closer to the date, happy holidays.